This was a video script I wrote and had professional narrated. I really wanted to focus on the productivity enhancements and how they can be applied in the ‘real-world’ as opposed to feeds and speeds too often promoted as the main features of other scanning devices. 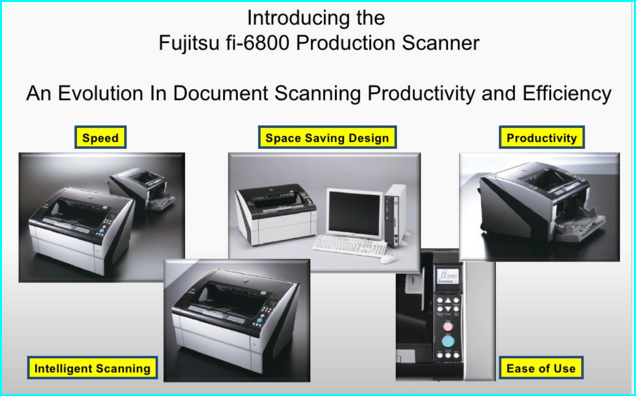 I was very proud to aggressively promote the Fujitsu fi-6800 Production Scanner because I personally witnessed all the hard work and effort the engineers put into making this the best scanner in it’s class. No question about it!